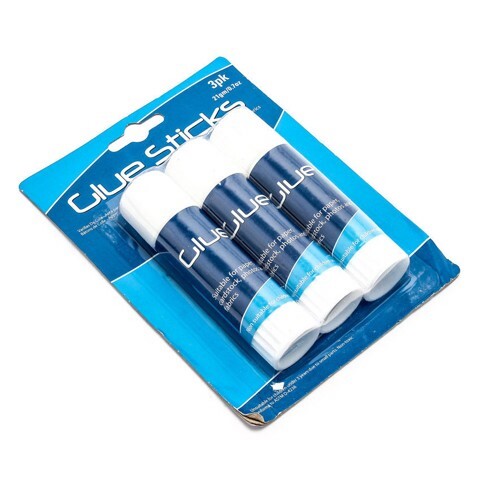 Glue Stick 21G 3Pk. Ea Tube: 9.8cm x 2.4cm Diam. White And Blue Tube. Polyvinyl Alcohol. 118G Packaging: Backing Card.